The vineyard is planted on gentle rolling hills that are made up of well drained loam soils that produce moderately sized vines. The base material is comprised predominately of rhyolite, a volcanic rock. Blocks 2A and 2B are more typical of a hillside vineyard, and are planted in much shallower soils. 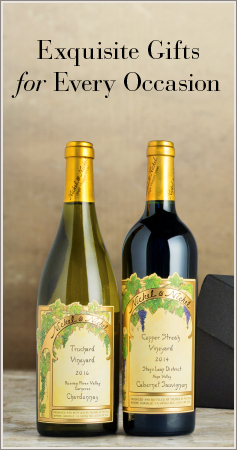 This helps limit vine vigor and results in fruit with more concentrated flavors. 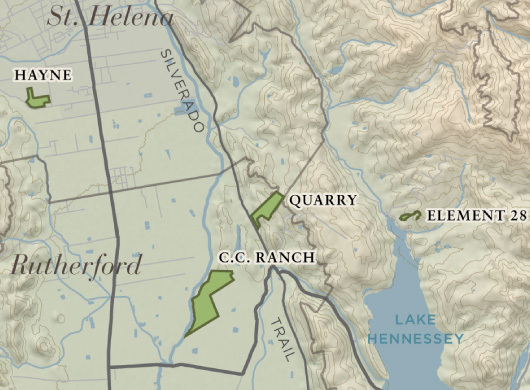 The 25-acre Quarry Vineyard climbs the slopes above the Silverado Trail on the east side of Rutherford. The name comes from the old quarry that was the source of a white rock used in the ghost winery that still stands beside the vineyard. Nickel & Nickel makes wine from three distinct hillside blocks, totaling about 11 acres, each experiencing its own unique soil and exposure. 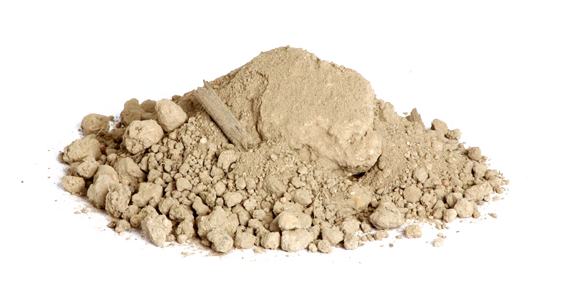 The white, rocky loam soils are well drained, and the vines are of moderate vigor. Cluster and berry size varies from block to block, but all are small to moderate. This vineyard has full exposure to the afternoon sun. Budbreak and bloom came early in the three distinct hillside blocks we farm on this rocky Rutherford site. Yields were small and moderate summer temperatures provided ideal ripening conditions for the rich, concentrated fruit. Because each of our three blocks contains distinct soils and exposures, we harvested them separately over a nine-day window, fermenting them individually to bring out each lot’s unique flavors.